Partly to mostly cloudy. High around 70F. Winds NNE at 10 to 15 mph..
Nelnet continues to branch out. Last year, the Lincoln company acquired Allo Communications, which plans to deliver ultra-fast Internet to Lincoln homes. Nelnet CEO Jeff Noordhoek said its contribution to a new headquarters for Lincoln startup Hudl and its work with Speedway Properties to develop the Telegraph District are part of building an environment that encourages "the entrepreneurship mentality." Employee Morgan Horton says the company culture is what sets Nelnet apart. The building at 401 S. 21st St. that for years housed telephone company offices will be the first to be renovated into what is being called the Telegraph District. Windows will be added to the building that will become home to Nelnet processing and call center employees. This image, viewed from the southwest, shows plans by Speedway Properties and Nelnet for apartments, office space and a possible grocery store at Canopy and N streets, just south of the Harris Overpass. From the beginning, Nelnet has always wanted to give back to the community. That’s why the company has invested in real estate and local businesses and students. “We want to have a great impact on our community,” said CEO Jeff Noordhoek. 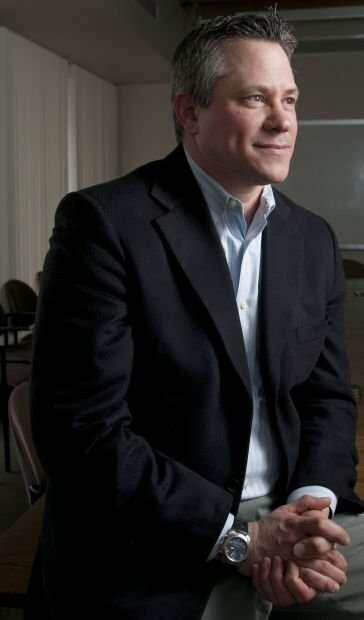 The company's success started 20 years ago, when Nelnet was founded in four partnering locations with a vision to help students find ways to fund their education. That’s how Nelnet has gone from four employees in Lincoln, Chicago, Denver and Scottsdale, Arizona, to 3,400 associates nationwide, including more than 2,000 in Lincoln. “We kept growing and rolling everything back into the company,” Noordhoek said. The company base isn’t the only thing that’s grown since its founding. According to Morgan Horton, creative writer for Nelnet, the company culture is what sets Nelnet apart. Each week, the company has a meeting -- a “huddle” -- where managers give kudos, or shoutouts, to employees doing outstanding jobs, and they set challenges for short-term and long-term achievements. “You really get a sense of empowerment here to steer your own career and go in the direction you’re most passionate about,” Horton said. She said the atmosphere at Nelnet is a huge part of what makes it successful. A company that started out providing student loans now serves 7,000 schools, providing payment plans for families, and works with 700 colleges and universities to provide electronic billing services. After achieving initial success, executives focused on diversifying the company. And 2016 is bound to bring exciting change. Along with Speedway Properties, Nelnet is planning to fund development for the Telegraph District. It also will bring a fiber network to much of Lincoln, and it’s helping build a new headquarters for Lincoln sports video software firm Hudl. “We want to have a collaborative space for a startup community that encourages the entrepreneurship mentality,” Noordhoek said. 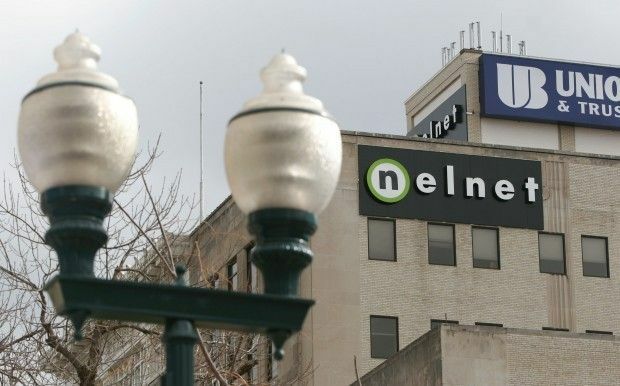 More than 600 Nelnet employees likely will work out of a renovated telephone company office building by late 2016, as Speedway Properties and Nelnet begin creating the Telegraph District east of downtown. The two companies have created the East Downtown Development Corp., or EaDo, to redevelop the area around 21st and N streets, as a “great place to work, shop, live and play,” officials said. Nelnet's acquisition of Allo Communication was a major step in bringing 1-gigabit Internet service to Lincoln. Telephone and television services are also part of the offerings coming to selected households later this year. And Nelnet's focus on new projects doesn't end there. Nelnet and Speedway have partnered on another proposal, Lumberworks Lofts, which calls for three buildings that combined would have 48 apartments, about 8,000 square feet of office space and about 15,000 square feet of retail space, including a potential 8,500-square-foot grocery store at Canopy and N streets. Mayor Chris Beutler has yet to announce whether he favors that project or a competing one that would bring a hotel to the site. Nelnet is also involved in community outreach, said Mairead Safranek, associate communications account executive. Nelnet allows all associates to take time during their work day to donate time and work with various organizations like Junior Achievement and TeamMates, Safranek said. When Nelnet acquires other companies, like Allo, Safranek enjoys seeing them adapt into the culture Nelnet has created. “It’s been cool to see how people have taken on that challenge,” Safranek said. Noordhoek said everything Nelnet does -- whether it be community outreach, development, business meetings or acquisitions -- ties back into the company’s core values. Reach the writer at 402-473-7223 or vdaves@journalstar.com. Windstream has beaten Allo to the punch on 1-gigabit Internet service. Lincoln has been named the fourth-best city in which to start a business in 2016, according to personal finance website WalletHub. Lincoln resident arrested after trying to break into vehicles.